HOW TO MENTALLY GET READY FOR SCHOOL. Hey guys what is up? So for those who didn’t know I’m doing my senior year this year and well I figured that we are all stressed out at school and we just don’t know what this year is gonna bring for us but i also realised that these are the same thoughts that we have every single year, whether it’s because we’re doing matrix or just any grade. So I decided to do a blog post on how to get mentally prepared for your school year. 1. TELL YOURSELF THAT YOU WILL DO WHAT YOU DID LAST YEAR. This is only if you worked hard last year and you know that you did your best. Tell yourself that it’s nothing different from last year and to just take it as it goes. I know that everyone is telling you that the next grade is harder or worse but tell yourself that you shouldn’t be worrying,cause you shouldn’t. As long as you work hard from the beginning and not leave everything for the last minute. No I don’t mean read books 24/7 but go home and revise what you did and what you think you will be doing tomorrow so that at least your mind is set and it will be easier for you. Know what you want for the year and work towards it. In order for you to do well this year or to not have to do everything in the last and ruining your chances of getting good marks, manage your time correctly. Buy or make your own diy calendar with all your test dates and when you must do things. Revise and study your work before time and trust me you’ll be as smooth as oil. Yes write down what you want for the year, your goals and aspirations and stick it somewhere you can always see them. If you know what you want and what you’re working towards then you will work harder making school much easier. Yup guys those are my five tips into getting your self ready for BACK TO SCHOOL. I hope that you guys relate to this and that you guys find it helpful. 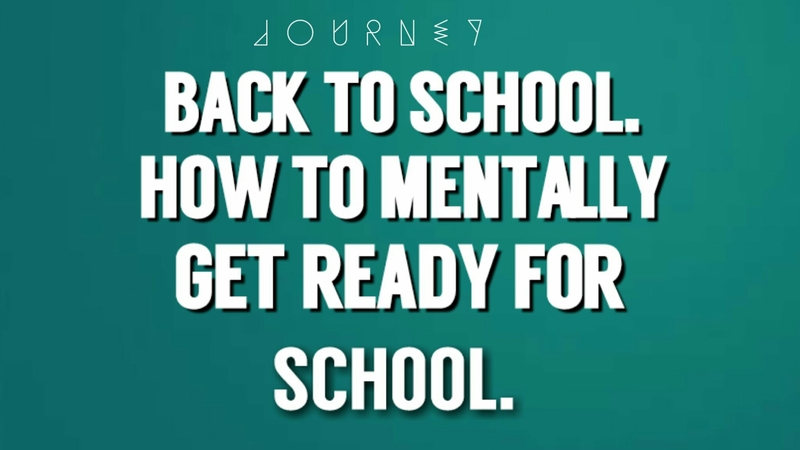 Tell me in the comments below what you do to get mentally ready for school. → HOW TO PREVENT FOMO.